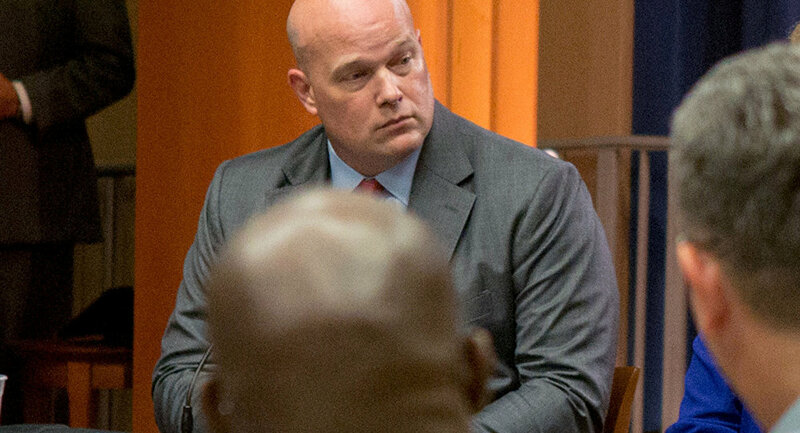 Whitaker, 49, was Sessions' chief of staff since September 2017 and served as the US Attorney for the Southern District of Iowa from 2004 to 2009, CBS reported. 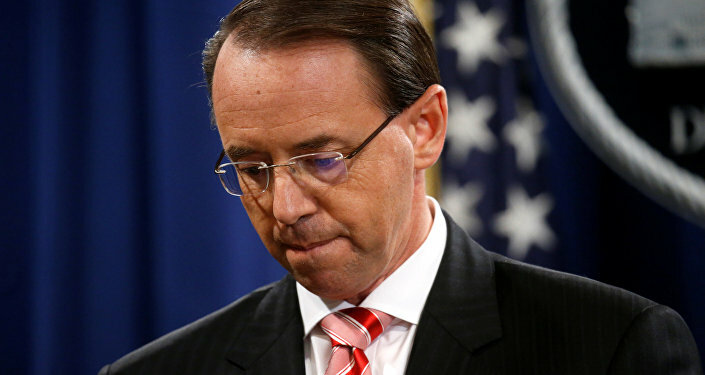 A month before he was hired by Sessions, Whitaker penned an op-ed for CNN in which he said: "It is time for Rosenstein, who is the acting attorney general for the purposes of this investigation, to order [Special Counsel Robert] Mueller to limit the scope of his investigation to the four corners of the order appointing him special counsel." As news spread of Sessions' forced resignation, Democrats and progressives across the country began to organize protests in his defense, claiming that Trump had fired Sessions as punishment for recusing himself from Mueller's investigation of alleged collusion between the Russian government and Trump's 2016 presidential electoral campaign. "Whitaker has made clear that he can't be an impartial overseer of this critical investigation. He has called the Mueller probe a ‘lynch mob' and publicly described how he would strangle the investigation," Anna Galland, executive director of MoveOn Civic Action, one of the organizers of the protests, told Sputnik News on Thursday. Radio Sputnik Loud and Clear spoke with Julie Hurwitz, a civil rights attorney and partner at the law firm Goodman, Hurwitz and James, and Dan Kovalik, a human rights and labor lawyer and the author of the new book "The Plot to Control the World: How the US Spent Billions to Change the Outcome of Elections Around the World," about Whitaker. ​Hurwitz said that reality is "topsy-turvy" when progressives are protesting the firing of Sessions because the former Alabama senator is someone that "we have known for years is an enemy of everything that's good and progressive and forward-thinking." But Sessions has fallen into the basket of removed administration officials whose cases have been a rallying call for Democrats, such as former FBI Director James Comey. "The legacy of Jeff Sessions goes back for decades. While he was in the US Senate, he was on the forefront of a number of very right-wing agendas covering a number of issues, from criminal justice to privatizing prisons to legitimizing police misconduct and abandoning any oversight in runaway police departments around the country. The War on Drugs: he was on the forefront of doing everything we can to criminalize things like marijuana. Things like immigrant rights, actively opposing extending hate crime protections to women, the LGBTQ community and racial issues. He has vigorously defended the travel bans; he has actively worked over the years going back to the 1980s to gut the Voting Rights Act [of 1965]. 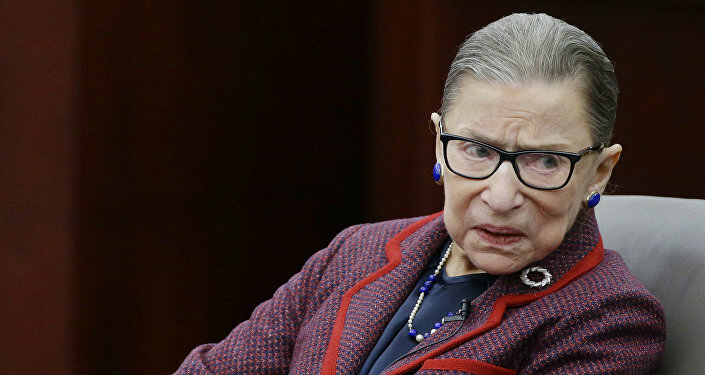 In the 1980s, he actually prosecuted black civil rights activists for helping to get out the vote in Alabama. He was in the forefront of the repeal of Section V of the Voting Rights Act in 2013." "He is just a horrible human being, and the fact that he did one thing that we might consider to be somewhat ethical by recusing himself from the Mueller investigation, now all of a sudden he's everybody's hero." 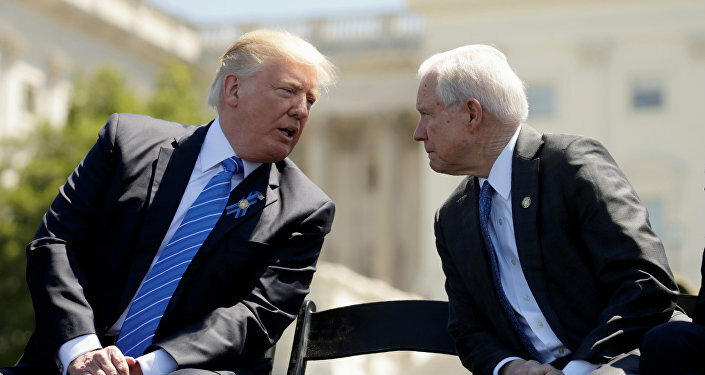 Hurwitz said, though, that perhaps the only reason people might be concerned about Sessions' forced resignation is that the new acting Attorney General, Matt Whitaker, "is probably 10 times worse than Sessions and is willing to do Trump's bidding even on questions of putting the kibosh on the Mueller investigation, which Sessions at least was not willing to do." Kovalik said he was worried about the future enforcement of the nation's civil rights laws under Whitaker, but he welcomed the end of the Russiagate investigation, which has served only to heighten tensions with Russia and found nothing in terms of its actual scope in the 18 months it's been looking. Hurwitz said she feared that under Whitaker, the Department of Justice would continue its "assault on civil rights that Jeffrey Sessions was very much involved in." "I see us going one step further than just setting back the clock" on civil rights, she said, "I see actual aggressive use of what progress we have made over the last 40 or 50 years in the civil rights arena, and not only eliminating those rights but actually turning them around to be used as a weapon against the historic victims of racism and sexism and gender discrimination and corporate abuse in this country. Because now, the way in which the Department of Justice is interpreting the civil rights laws is to say it's a violation of corporations' civil rights to put any constraints on the way that they act; it's a violation of homophobic people's' civil rights to say you're not allowed to discriminate; it's a violation of white people's civil rights to say that, you know, you can't go around engaging in racial hatred and venomous speech," and that it's a violation of First Amendment rights to restrict hate speech on college campuses.